Let’s talk about rebrands. No, I’m not talking about when you decide you want to “rebrand yourself” every New Year’s Eve, I’m talking about a brand refresh for your business. As far as refreshing a brand goes, many have tried, and many have dramatically failed. Recall, if you may, the Uber logo refresh in February 2016? The internet had a field day asking themselves what the new logo looked like, much to the chagrin of Uber, who ultimately went back to their traditional black and white logo design. So, yes, it’s a frightening venture to change your brand’s look. However, when you get a brand refresh right, it will feel right. Think back to the Instagram brand refresh years ago, switching from the traditional camera logo and app icon to a sleeker, rainbow gradient design. It’s both eye-catching and a call back to their previous logo. You must be asking yourself about now, “Well, Lynnie, then what does a good brand refresh look like?” Well, imaginary reader, take a seat. 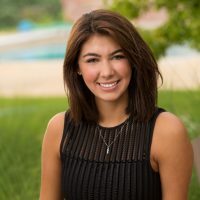 Because in this blog, I will be giving the red light, yellow light, and green light to three brand refreshes that flipped the company, and it’s ROI, on its head. Consumers can be unpredictable, but before going through a brand refresh, a marketer can’t underestimate their buyer’s passion for consistency. Tropicana learned this the hard way when they decided to change their look. We’ve all seen them in the grocery store: Tropicana orange juice cartons with the fresh orange stuck with a straw on the front scream ‘refreshing.’ But as soon as Pepsico announced that they were “simplifying” their design to something entirely new, it bit them in a place they had not expected: their wallet. 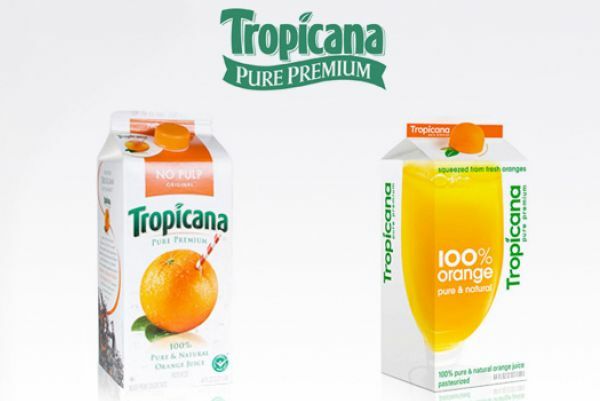 Tropicana consumers called the new design generic, “store brand,” and even ugly. The fallback of the refresh went as far as causing Pepsico to roll back the refresh and return to their original logo and packaging. The consumer reaction caused a drop of over 19% in sales. In dollars and cents, that comes out to around 33 million dollars in the refresh period, giving them a major red light in our brand refresh success scale. What can we learn here? The moral of this (and any) story is that you should always trust your consumer’s passion for consistency and sticking to what they know. Brand refreshes are a roll of the dice for sure, but knowing what keeps your customer coming back to you over your competitor is a great place to start. Don’t gamble until you have all the cards, so to speak. I love a good controversy. It’s not quite a disaster, but it’s not smooth sailing either, and it makes for some great debate. When I was thinking of controversial rebrands that had people riding a proverbial teeter-totter, one that instantly came to my mind was the 2011 Starbucks rebrand. You wouldn’t think that simplifying the logo would cause such tension among Starbucks drinkers, but losing the word “coffee” from “Starbucks Coffee” caused simultaneous outrage and joy. You have to ask yourself a very simple question. “Do I only drink coffee when I go to Starbucks?” It’s the same question Steve Jobs asked himself when Apple Computers just became Apple. Are we ever just ONE thing? I order a venti nonfat chai tea latte with two pumps mocha and nonfat milk when I’m at my local Starbucks, so no, I don’t only drink coffee there. Starbucks knew that, realistically, by removing the words from their logo, they weren’t making a dramatic change because they are still known for their coffee, but they made enough of a change to remind consumers that they serve anyone who walks through their doors. The point is that when you’re thinking of going through the rebranding process, while you do need to trust your consumers, you also have to trust your gut. We preach the importance of checking your data before making any big moves all the time, but a lot of rebranding involves instinct, and that’s what Starbucks chose to follow here. If you ask me, I think it was a brilliant idea. 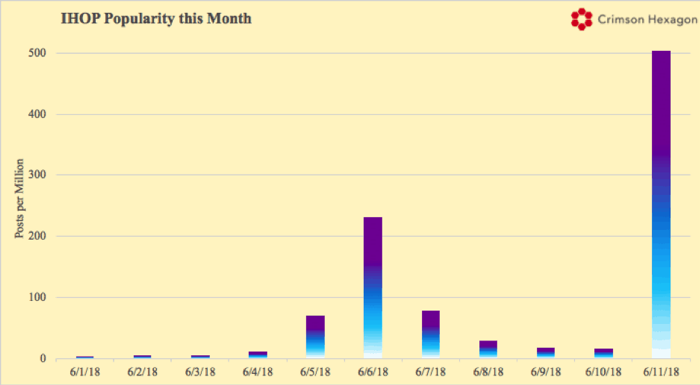 This is about to be the most controversial thing I have ever written in a blog, but, the data will speak for itself: One of the best brand “refreshes” I have ever seen was from none other than IHOP. You may ask me, “How could you possibly think that changing your name to International House of Burgers is a great brand refresh?” Like I said, it’s controversial, but there is enough data to support that IHOB really knew what it was doing before taking the refresh plunge. I do understand that IHOP didn’t technically change their name permanently, but the results from this summer’s excitement are certainly going to be around for a long time. This story is relatively new, so time will tell if the stunt will actually turn to sales, but from what I’ve seen so far, IHOB has done something right. One reason to embark on a brand refresh is to regenerate interest in your company and remind people that you’re still around, you’re still relevant, and that you’ve got something new to show them. When your ‘schtick’ is pancakes, but that’s not selling, you need to do something to show your base that you’re not a one-trick-pony. Let’s be honest with ourselves: In 2018, the goal of doing something drastic is to be talked about on social media. Why do you think the “In My Feelings” Challenge was even a thing? So, when this refresh went live, the internet “blew up.” It was actually found that this summer IHOP was more popular online than it has ever been in the company’s history. Millions of posts about your company’s brand refresh can either be a blessing or a curse, but I believe that IHOP struck a chord with social media enthusiasts. 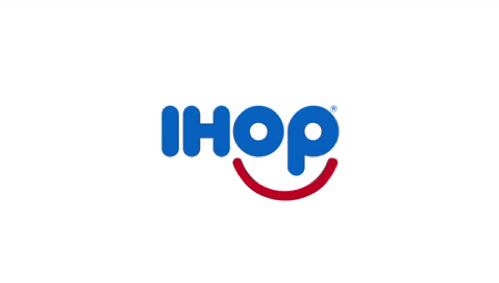 The hype translated from just posts about the refresh itself to a meme later on, so whether you like it or not, IHOP was in the news for months. Oh, and more importantly, IHOP saw a 30% stock gain in the period that the campaign was in effect. Now, I do understand that the jury is still out on whether or not the stunt will cause people to actually want a burger from IHOP, but I must confess, I did try one after the brand refresh was announced, so they had at least one social media user convinced. We can learn a lot from IHOP in this case. I mentioned trusting your gut when I talked about Starbucks’ logo, but more importantly than trusting your gut, you have to be willing to take a risk in a refresh. Can’t you just picture the IHOP board room when Pete in the back of the room mentioned he thinks they should change their name to IHOB? Someone probably thought whoever suggested the name change was crazy and that it would tank their business, but sometimes, the craziest ideas are the ones that drive the greatest change. We can also learn from the concept of switching the focus from pancakes to burgers. Just because you’ve been doing one thing for years, it doesn’t necessarily mean it’s working. Clearly, pancake sales were down quite a bit, so why would you continue to let the Denny’s of the world steal your breakfast sales if you can make a big change to your strategy? A strategy is not a permanent choice. You can always come up with a better plan and make some adjustments. It doesn’t have to be as drastic as switching from breakfast to lunch foods, but you get the picture. Obviously these examples are controversial, and some of you may disagree that they were “good” or “bad” choices, but there is one thing we can all agree on, and that is that we always have to be prepared for some heat, because not everyone is going to love what changes you make during a rebranding period. But if you stick to your guns and are willing to take the plunge, you’ll find yourself hearing a lot of positive buzz. What do you think of these examples? Share with us other brand refreshes that you loved in the comments!